People who take on a spouse’s last names upon marriage are not required to give up the name when the couple divorces. There may be an exception to this if the couple signed a prenuptial agreement requiring the spouse who takes on the other’s name to go back to using a maiden name if the couple divorces. In most other cases, the choice to go back to using a maiden name is entirely personal and voluntary. Someone may choose to change his or her name in order to get a clean break from the marriage that just ended and move on to other relationships. However, many people choose to keep their names in order to: share the same name as their children, avoid the hassle of the name change, or in order to keep a professional identity. If a person has been known by a married name for work or business, a name change may mean starting from scratch in terms of professional name recognition. Divorcing spouses who are getting remarried and taking on the new spouse’s name should consider waiting to change names after marriage in order to do it once. A name change as part of a divorce in Pennsylvania is not very complicated, although some may find it time consuming. In most states, a spouse who wants to change his or her name should ask the judge to include a provision in the divorce decree authorizing the name change. In Pennsylvania, this is not necessary. 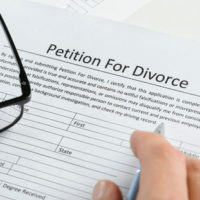 The law allows a spouse to change his or her name before or after a divorce decree is entered by filing a notice with the office of prothonotary in the county in which the divorce action was filed or the decree of divorce was entered. The written notice should include the caption and docket number of the divorce case. Once this notice is filed, the person will receive further information on the name change process. There may be a hearing and a requirement to publicize the name change. A person will generally not be allowed to change his or her name in order to avoid creditors or criminal investigations. If a parent wants to change a child’s name after divorce, the parent will need a court’s permission before the name change can be done. In many cases, this may be more complicated because the other parent may contest the name change. Once the name change is finalized, the person who has changed his or her name still needs to change identification documents, get a new social security card, and his or her employer of the name change. Sometimes this process is not difficult at all, but changing employment documents may be more complicated and time consuming than any of the other changes. For all the hassle that may come with a name change, the name change itself can mark a new beginning for a divorcing spouse. If you are going through a divorce in Pennsylvania, we can help you navigate the legal process and offer you advice on the issues that are likely to come up in your Pennsylvania divorce. For a consultation, contact Barbara Flum Stein & Associates in Media, Pennsylvania and serving Delaware County in all family law matters.